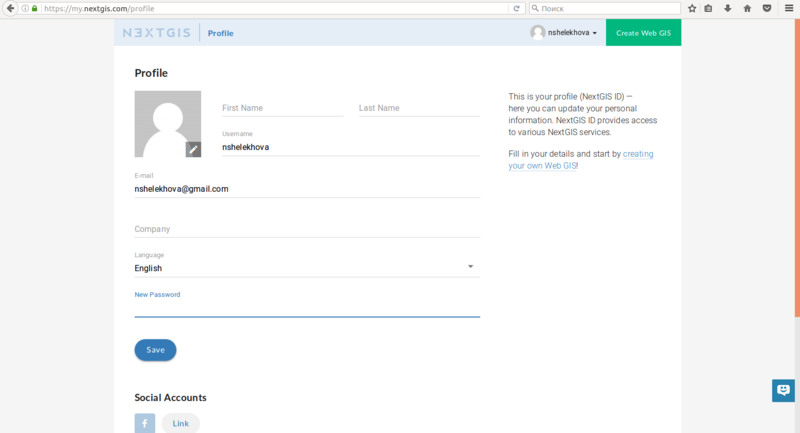 Before you can start working with your Web GIS you need to create an account (NextGIS ID). 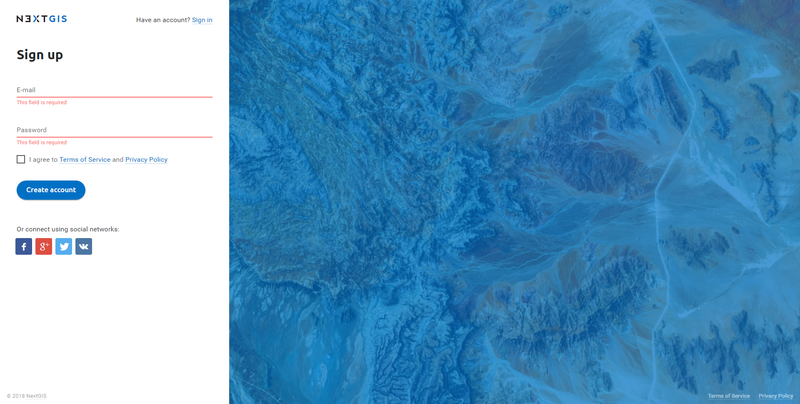 NextGIS ID is required for access to all NextGIS Services, including Web GIS service. You can also create an account by authorising with your existing social media account. Don’t close this window and check your email, you should receive a letter with an account confirmation link. In case you don’t receive this letter in 10-15 minutes, click “Send the email again” link in the “Please confirm your E-mail” window (see Pic. 1.3.). You can also change your email address in case you made an error during signup. You will not be able to create Web GIS until you confirm your email address. 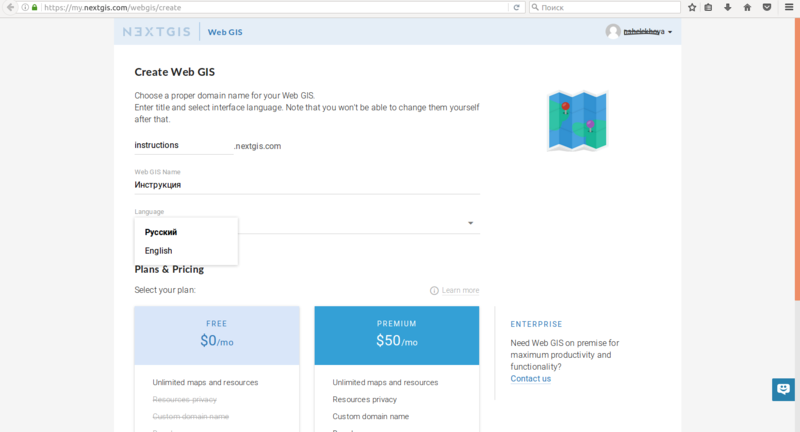 After you’ve successfully created your account you can start creating your Web GIS. 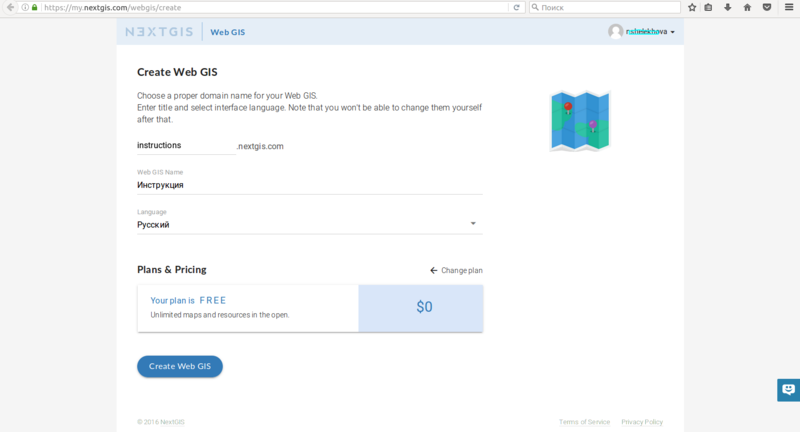 You won’t be able to change domain name and default language of your Web GIS after it’s been created! A red rectangle indicates a menu containing “Resources”, “Control panel” (only for Premium users) and “Help” sections. 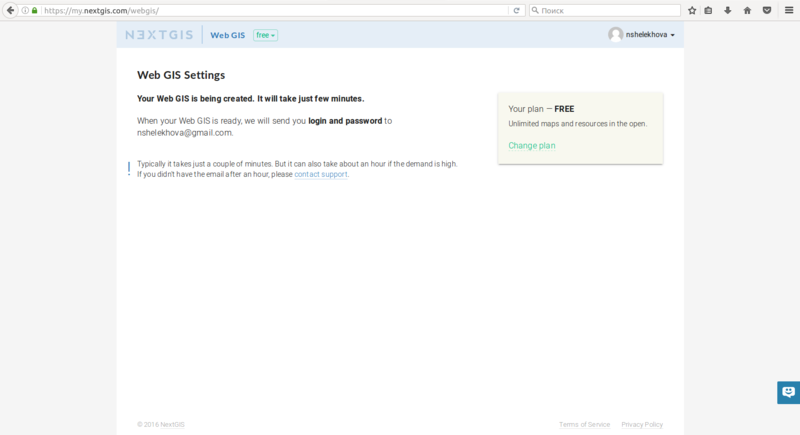 To start working in your Web GIS first sign in with your Web GIS login and password using a “Sign in” button in the upper right corner. Your Web GIS login and password differ from your NextGIS ID login and password!